← Can Party Boat Passengers Catch Boat Limits as well as the Crew Limits? Answer: I think you may be confusing the methods used in the East to count antlers on whitetails with the way we assess mule deer antlers here in the West. Minimum antler counts are to ensure the animal is old enough to be harvested. Additional counts help give an idea of relative age and body condition. Fish and Game laws in California count only the points on one side, and eye guards are not included. A “spike” needs only a one-point antler on at least one side, but it could be on both sides and still be a spike. A “forked horn” has at least one branch on one side on the upper two-thirds of the antler, but both could be branched. For example, 1 x 2 or 2 x 2 are both correctly “forked” horn and not a 3-pt or 4-pt and so forth. A 2 x 3 buck is a 3-pt and not a 5 pt and so forth. For a complete description of how California defines antler count and antlerless deer, please go to section 351 in the 2011-12 Mammal Hunting Regulations available online at www.dfg.ca.gov/regulations/. What to feed wild geese at a community lake? Question: I live in a mobile home park in a rural community in San Diego County. We are being told we cannot feed the wild Canada geese around our community lake because the managers are very mad at the geese for the droppings. Answer: Unfortunately, it is not legal for an individual to capture live fish off the California coast and transport them to their fish tank. I suggest you purchase your ocean fish from your local pet shop, which is specially licensed to capture and keep salt water fish for sale. I appreciate your love for ocean animals. Answer: Night hunting is not allowed for wild pigs. Wild pigs are classified as big game mammals, and according to California Code of Regulations Title 14, section 352, the hours for hunting all big game mammals in California are from one-half hour before sunrise to one-half hour after sunset. Please be sure to read and understand California Mammal Hunting Regulations before going afield to hunt (www.fgc.ca.gov/regulations/current/mammalregs.aspx). Answer: No. Garibaldi may not be imported into California because they cannot be legally possessed (see the Ocean Sport Fishing Regulations, section 28.05(b), and Fish and Game Code, sections 8598 and 2353, all available online at http://www.dfg.ca.gov/enforcement/). This entry was posted in Uncategorized and tagged big game hunting, nuisance wildlife, pig hunting, regulations, restricted species. Bookmark the permalink. Here is a pretty good blog for those just starting out with their hunting endeavors. 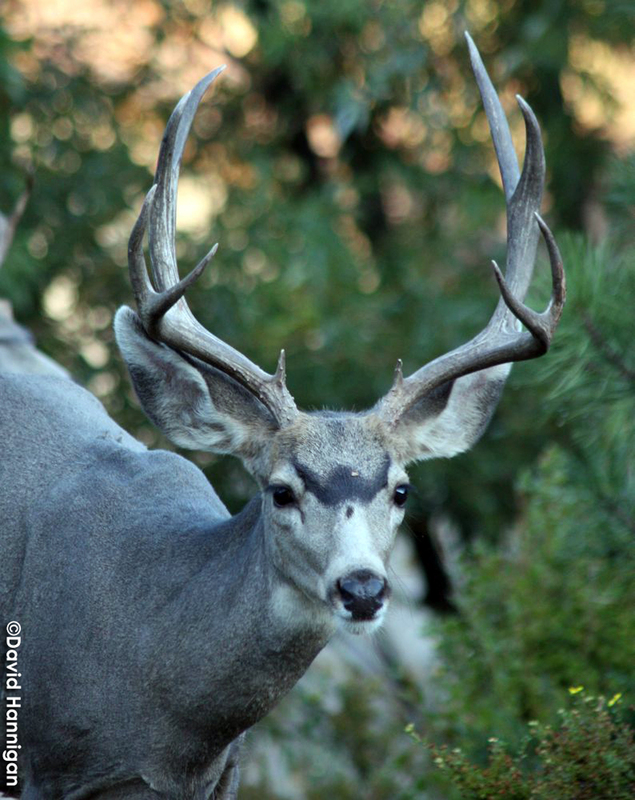 This blog from California Outdoors Q and A explains how to count the points on a buck.